Mycena citricolor is a plant pathogen. 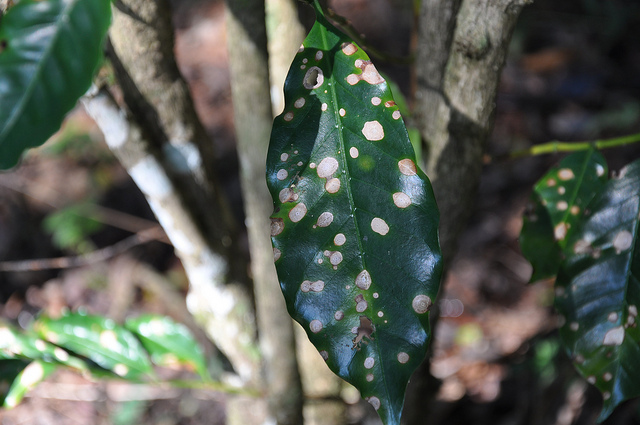 This is the basidiomycete that is responsible for creating the brown spots on the coffee leaves and is the most serious disease of coffee plants in the Western Hemisphere (Rodrigues, C.J., Arney, Dean). The Ganoderma lucidum is another fungus in South America that usually live on dead trees. However, if is on a living tree it can act as a parasite that can kill the tree. The Mycena citricolor produces mushrooms on the leaves of coffee plants. The mushrooms cause lesions on the leaves. This affects humans that drink coffee because this pathogen kills coffee plants. 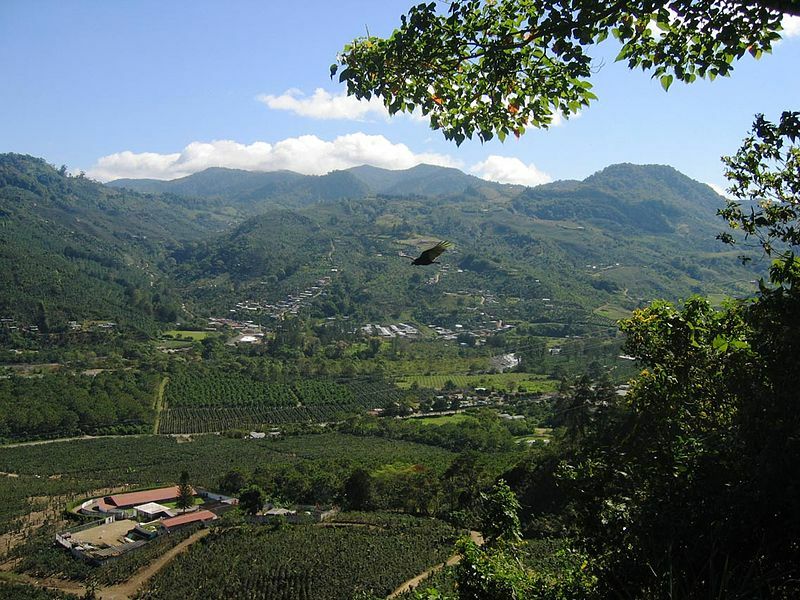 The Mycena citricolor has the ability to destroy up to twenty percent of the plants in this coffee plantation shown above. That is a large amount of coffee being wasted. The Cordyceps subsessilis and Cordyceps sinesis are two more fungal parasites. These fungi are parasites of insects rather than plants, however. It is very interesting to see the difference between plant and animal fungal parasites. Mycena citricolor releases an indoleacetic acid called IAA-oxidase that is responsible for this fungus’s pathogenic properties (Rao, D.V., Tewari, J.P.). This oxidase is the proposed reason that the coffee plant’s leaves drop off before they are supposed to (Rao, D.V., Tewari, J.P.). The IAA in plants is where most of the auxin activity takes place. The auxin is essential for growth in the plant. Its main function is cellular expansion (Sanderfoot, Anton). The IAA-oxidase is an extracellular enzyme that the Mycena citricolor releases which destroys the IAA in the plant (Rodrigues, C.J., Arney, Dean). This causes the leaf to stop growing and fall off prematurely. The presence of Mycena citricolor on the coffee leaf caused the it to have an increase in the uptake of oxygen. The rate of respiration in the coffee leaf was increased due to the mycelia respiration inside of the leaf (Rodrigues, C.J., Arney, Dean). The RuBisCo in the leaves of the plant cannot distinguish between CO2 and O2. This is a problem because the product of the reaction created by RuBisCo using O2 a toxin to the plant. 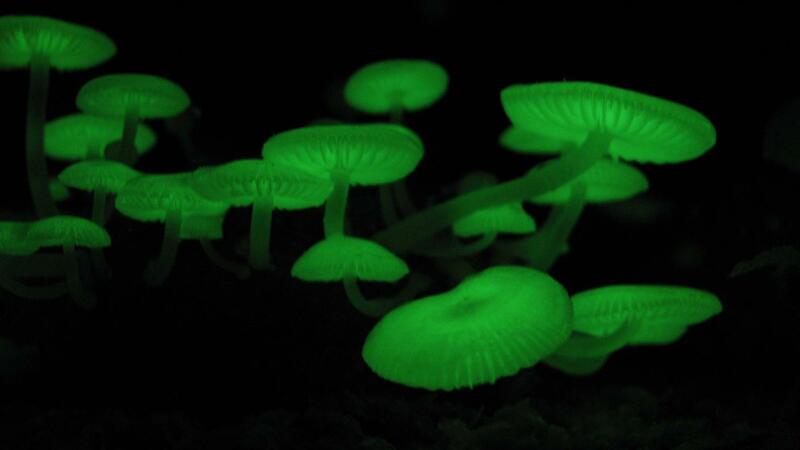 Since the Mycena citricolor is increasing the uptake of O2 in the plant, the RuBisCo is using more O2 and therefore creating more toxic products to the plant. This will slowly kill the plant and cause the abscission of the leaves prematurely. The Mycena citricolor in the leaf creates polyhydrate calcium oxalate crystals. The oxalate acid that the Mycena citricolor releases takes calcium away from the plant. This inhibits the membrane stability and ATP synthesis in the plant that calcium is a part of (Rao, D.V., Tewari, J.P.). The lesions that are on the leaves contain calcium containing crystals. These crystals were not found outside of these areas (Rao, D.V., Tewari, J.P.). The oxalic acid released by this pathogen lowers the pH levels inside of the leaf. This lowering of the pH levels causes the creation of the brownish colored lesions that we see on the coffee plant’s leaves (Rao, D.V., Tewari, J.P.). The lowering of the pH balance is also what brings about the IAA- oxidase enzyme in the leaf (Rao, D.V., Tewari, J.P.). Now that you have read some about the Interactions you can either look at the References I used in my research or go ahead to the contact me page. Or you can go back the home page.